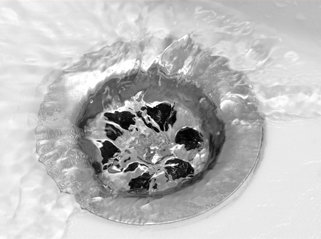 Clogged drains are typically easy to fix. But water leaks and garbage disposal breakdown? That's an altogether another story. One sign that your garbage disposal machine needs a Garbage Disposal Repair in Gilbert or a replacement is the time you put in cleaning your kitchen. If you're sweating it out, it is time to hire an expert plumber to fix your garbage disposal unit. Our trained appliance handymen can handle all sorts of garbage disposal issues, but sometimes you might just need to think about getting a replacement. Here's how you can find out if all you require is a simple garbage disposal repair or a brand new machine. If you hear a humming noise and no waste gets removed, or there isn't any noise when you turn on the disposal machine, it might be suffering from a clogged drain. In that scenario, either fix it by yourself, if you are knowledgeable about jammed drains in garbage disposals; or hire our plumbers for a quick and simple fix. If you spot a pool of water below your sink, which could be leaking out from your disposal unit, you have a bigger problem at hand. That typically happens by a seal or by a machine part which has worn out over a period of time. This is when you buy a new machine and forget about wasting greens in Garbage Disposal Repair in Gilbert the old one. You need our expert plumbers for installing a new unit and getting rid of the old safely. Before buying a new garbage disposal unit, you need to sort out the semantics of it. What features you need and what you don't - from noise reduction, anti-jamming facility, power options to so much more. Always install a garbage disposal with a good warranty.